If you are stuck for an idea on what to give your mom for mothers day, think about making her something that is personalized or custom. These mothers day crafts are all unique and easy to make. 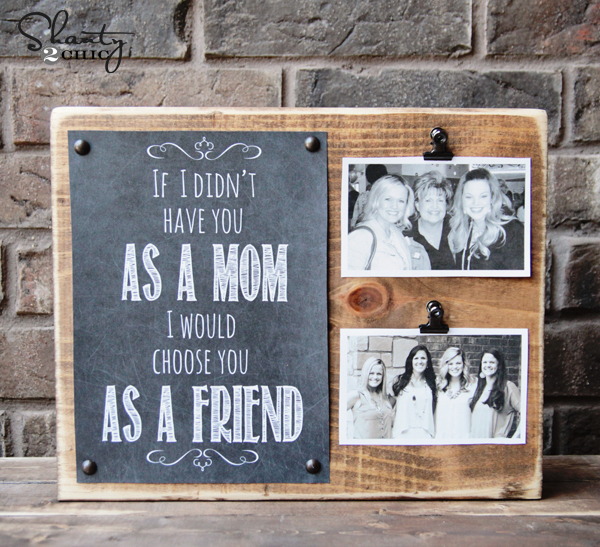 Since moms will be sure to appreciate photo gifts for the memories, these first two craft ideas are popular ideas. I LOVE this first one by Shanty-2-Chic. Not only do you get the tutorial for the rustic chic clipboard but you also can download the free printable for the great Mother’s Day message! The chalkboard look and black and white photos complete the chic look. 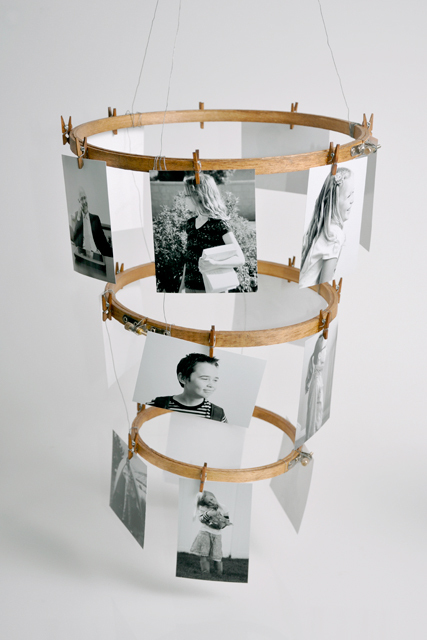 An industrial chic looking photo mobile is a decor piece that any mother would love! Natalme shows how easy it is to put this great design together. 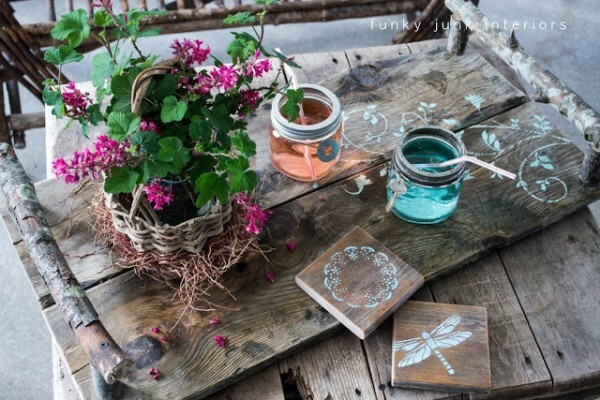 What’s not to love about this rustic tray and coaster set by Funky Junk Interiors? It’s perfect for a Spring afternoon tea out in the garden. Candles are always a nice gift and I happen to be a big fan of birch candles. 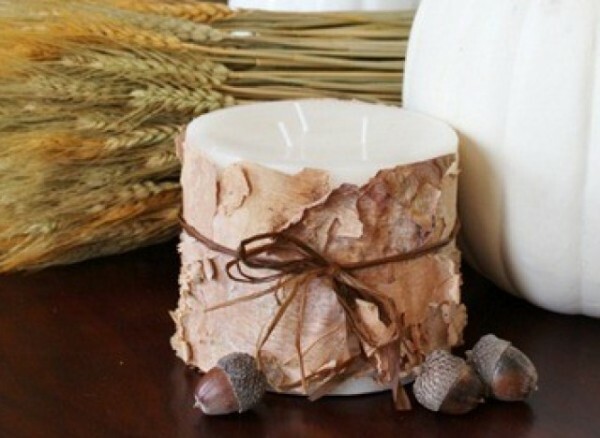 I like this unique idea by Sand and Sisal for wrapping a pillar candle with the birch bark. It’s a great look that is easy to do. 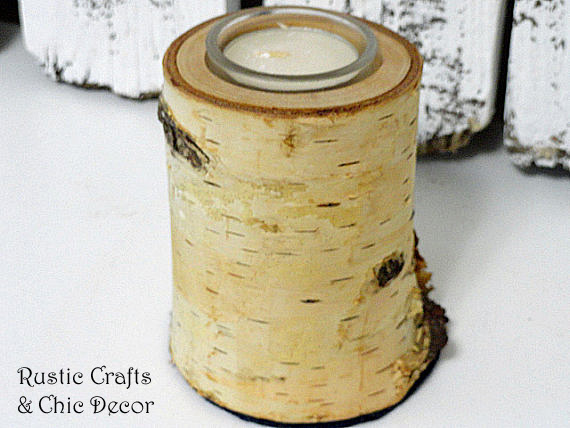 With a drill and a special drill bit, you can also make birch or pine tea light candle holders. You could add a bow or twine with a flower attached for a fresh Spring look. 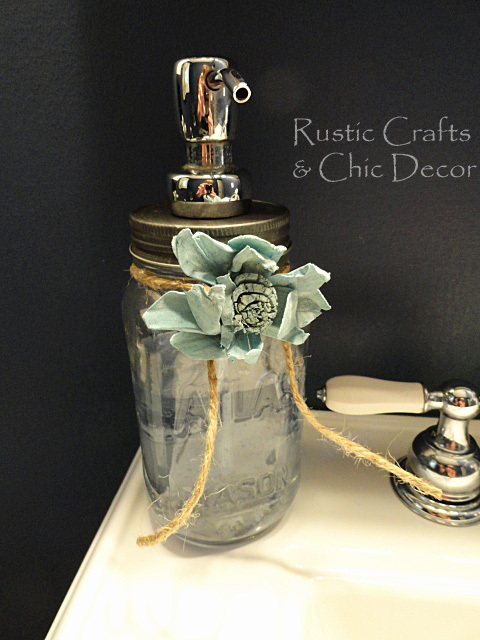 A pretty mason jar soap dispenser is easy to make and makes a fun gift as well. Check out this easy tutorial at DIY mason jar soap dispenser. You can find lots of other mason jar gift ideas at Rustic Mason Jar Gifts You Can Make.